“This book reminds me so much of me because I admit that I have a tiny fear of the woods but that might also be because I was one day out in the woods with my cousin and sister and we had gotten lost. LOL. By the way, this was supposedly right behind our house so how does one get lost, I will never fully know. Jade is such a pretty name and I am glad to see that someone used one of the less popular names. Jade Emerson also sounds a bit like me as far as starting over in her life and looking for a fresh start. I love that Jade has her own business and that she has her mind set to making it work. Bryan Sheffield is an amazing hero because he just helps Jade through her hard times. Sometimes we can be so blinded to when we really do need help. Having a frozen heart makes it hard to feel and to really connect, so I am thankful for a character like Bryan to help Jade become “human” again. This story made me tear up a bit because of how sweet the romance is, made me laugh because of the adventure. “I really enjoyed the fun interaction between the characters and the family dynamic of the Sheffields. When tragedy strikes the gathering of this family unit brought a lump to my throat and made me a fan of Ms. Kemerer’s writing. “Kemerer writes stories of hope and redemption. Her characters have great personalities and are lovable from the start. She’s great about adding little windows into their background without overloading the reader. You’ll find yourself rooting for these two. Interested in reading Her Small-Town Romance at your next book club? Download the printable Discussion Questions below. 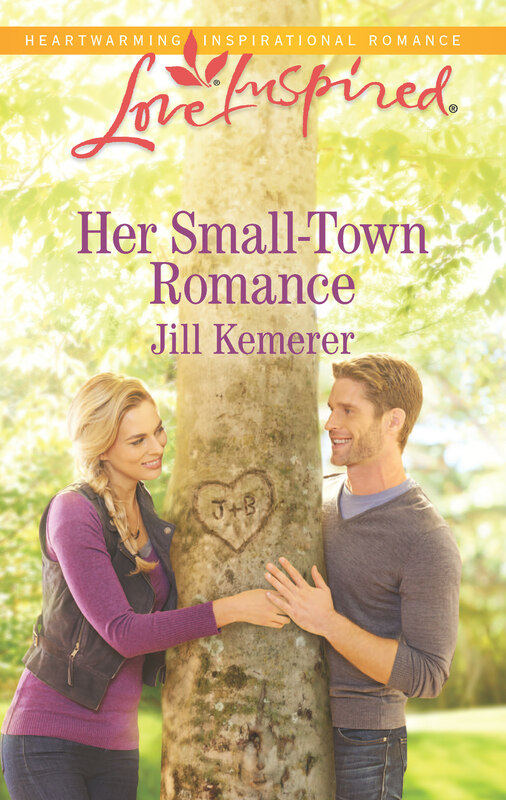 Click here to download Her Small-Town Romance discussion questions! Follow Jill’s board Her Small-Town Romance: Lake Endwell Book 3 on Pinterest. Please consider leaving a review on Goodreads, Amazon or Barnes & Noble! If you don’t keep paperbacks after you read them, please pass it on to a friend, donate it to your church library or leave a copy in a nursing home.